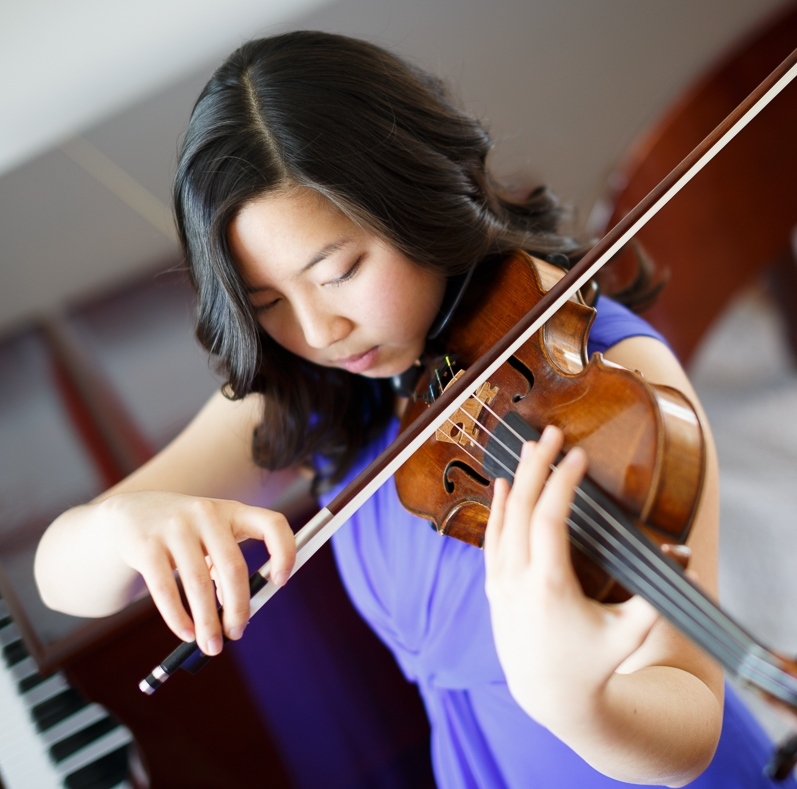 Charissa Leung (violin) from San Jose made her solo debut with the Prometheus Symphony as the winner of the 2015 Khuner Young Artist Competition. As a high school senior, she also had won the Genevieve Lake Lassere Scholarship and the Outstanding High School Senior Performance Award from the Music Teacher Association of California. She has been a prizewinner of many other regional and state-wide competitions, and has performed in venues including Carnegie Hall and the Kaufman Music Center in New York City. During the summers from 2013-2016, she attended the prestigious Aspen Music Festival and School, where she studied with Robert Lipsett, Naoko Tanaka, and David Halen. In 2017, she participated in the Rome Chamber Music Festival, playing alongside artists Hsin-Yun Huang and Bella Hristova. In addition, Ms. Leung has participated in masterclasses by Midori, James Ehnes, Sylvia Rosenberg, Stephen Clapp, Donald Weilerstein, Nicholas Mann, Paul Kantor, and Erin Keefe.